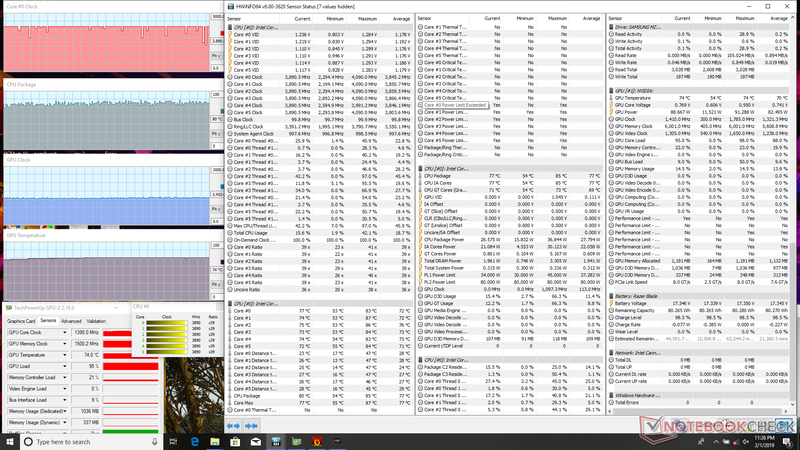 Same CPU, same GPU, same RAM, same display. 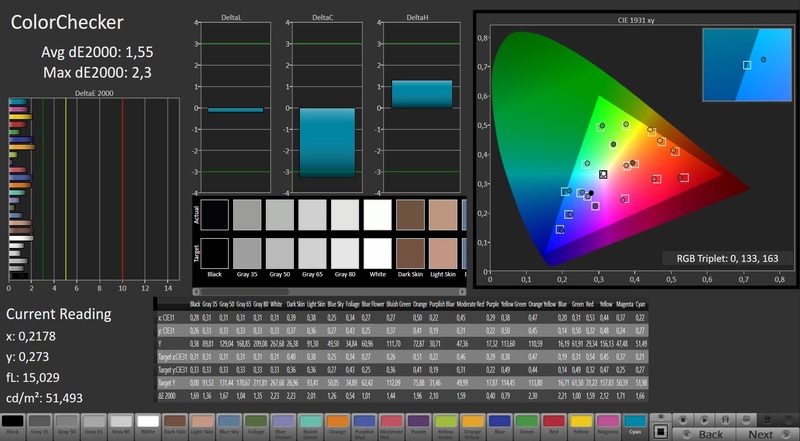 Even with all the similarities, there are notable differences when it comes to performance, color accuracy, features, fan noise, and temperatures. We compare the two systems to find out which one comes out on top. If you're looking for the thinnest and smallest 15.6-inch gaming notebook with GeForce RTX graphics, then there are plenty of options to choose from including the MSI GS65, Gigabyte Aero 15, Razer Blade 15, Acer Predator Triton 500, Dell Alienware m15, and the Asus Zephyrus S GX531 just to name a few. We'll be comparing all these systems and more in the weeks ahead, but our focus today will be on the premier Gigabyte and Razer offerings unveiled at CES 2019 earlier this year. 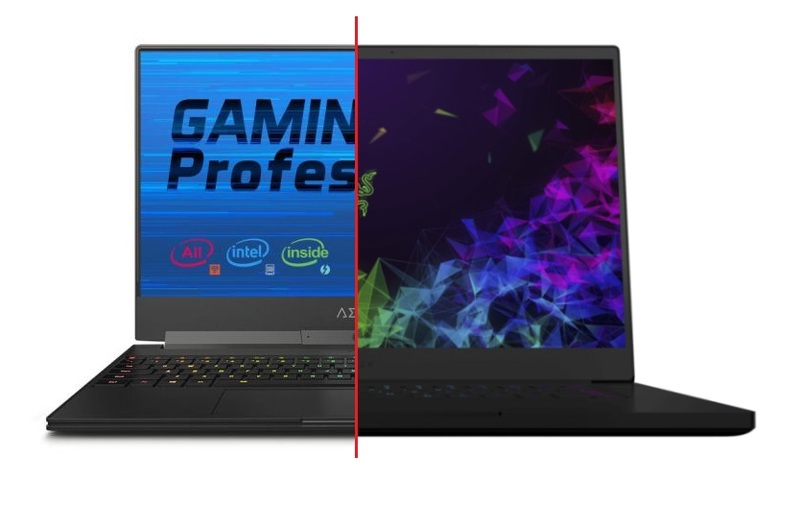 Both the Aero 15-X9 and Blade 15 can currently be found online for $2400 each with the same CPU (Core i7-8750H), same GPU (GeForce RTX 2070 Max-Q), same RAM capacity (16 GB DDR4-2666), and same matte display (1080p144). The Aero, however, ships with a larger 1 TB SSD compared to the 256 GB SSD of the Razer. It's a small but easily overlooked detail that's worth mentioning for those on the fence between the two systems. Both models utilize the same chassis designs as their last generation GTX counterparts and so nothing has changed in terms of looks or rigidity. The slight edge still goes to Razer as its lid and base are less flexible and thus less prone to creaking than on the Aero. It also manages to be both thinner and smaller than the Aero because of its narrower "chin" bezel. 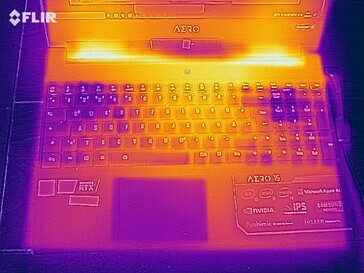 Speaking of chin, users may be less appreciative of the XPS-style webcam angle of the Aero system. Razer takes a more traditional approach when it comes to webcam positioning that users are more familiar with. Both laptops have the same matte 1080p 144 Hz IPS panel from LG Philips (LGD05C0). 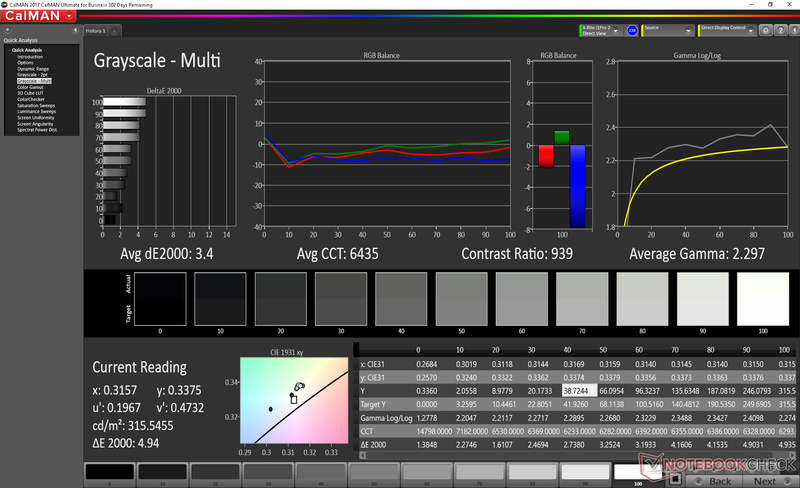 Consequently, core attributes like color coverage, contrast ratio, and black-white response times are nearly identical between the two systems as our table below illustrates. 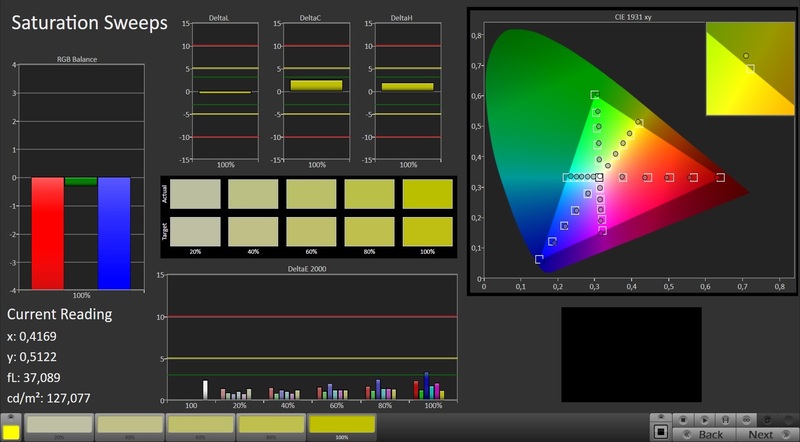 Nonetheless, differences in brightness and color accuracy still occur. 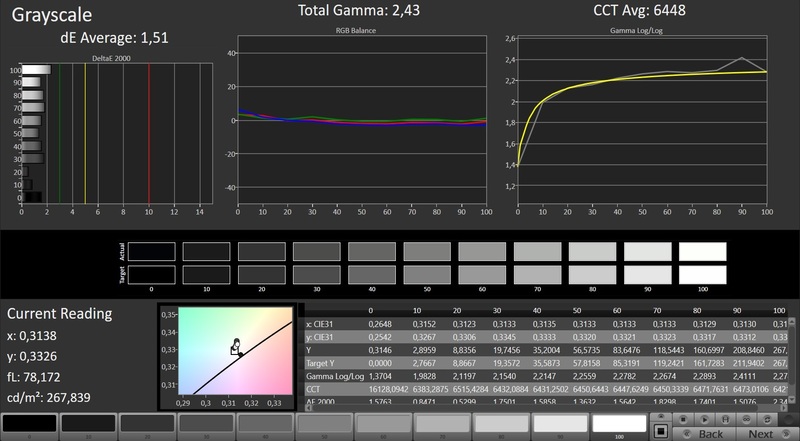 The Razer backlight is more powerful for a brighter display (315 nits vs. 250 nits) while the Gigabyte display is better calibrated out of the box. 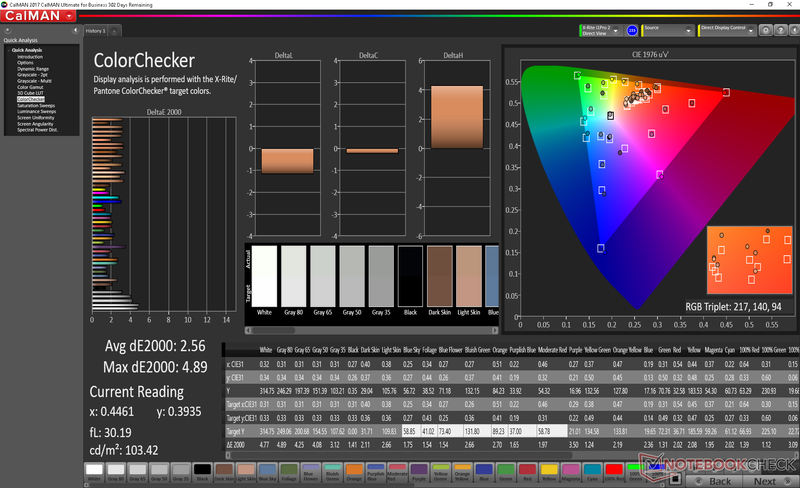 It's possible to calibrate the Razer display to be just as accurate provided you have the tools available and are willing to do it yourself. 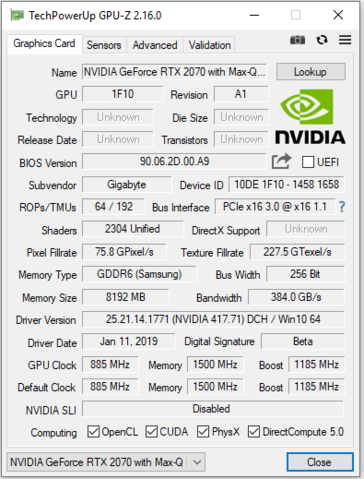 The Gigabyte system outperforms the Razer by 16 percent in CineBench R15 despite both having the same Core i7-8750H processor. 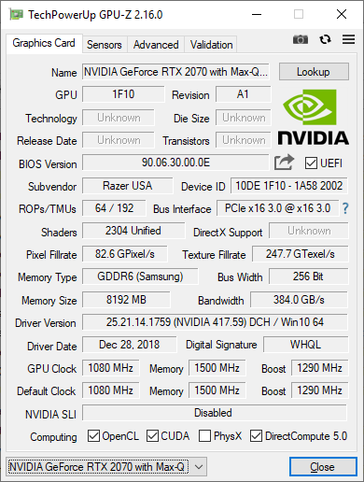 Much like what we saw between the Blade 15 and Alienware m15, the Razer system is simply unable to maintain faster CPU clock rates when under stress. While this thankfully does not impact gaming performance, users who want the fastest possible CPU performance won't find it on the Razer. 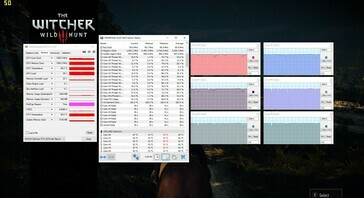 When we benchmarked the Aero 15-X9 with beta drivers, we discovered slower GPU performance than on the Blade 15. 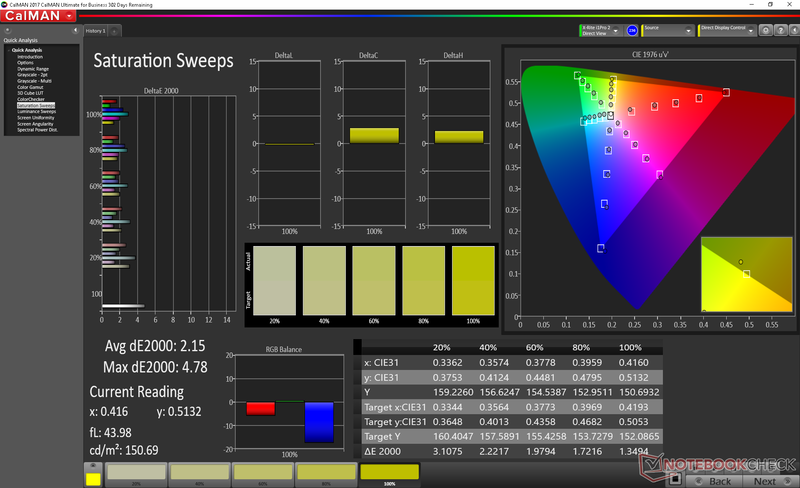 After updating the drivers, results on 3DMark Fire Strike, Time Spy, and Port Royal are now much closer to the Razer. 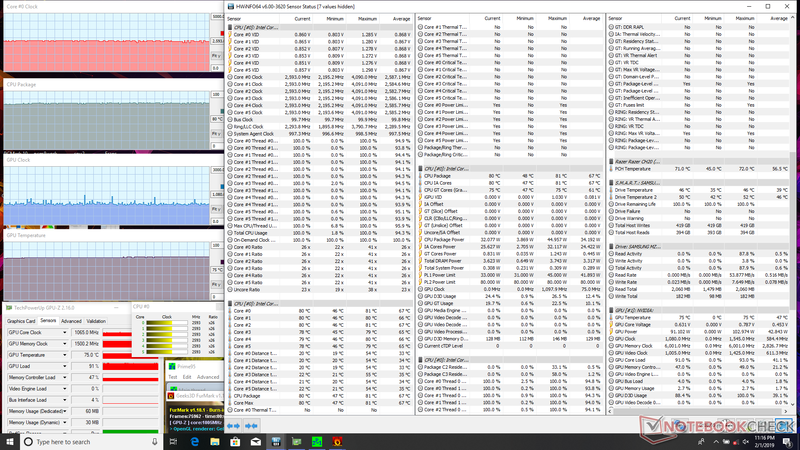 Scores are still lower by a few percentage points likely due to the single-channel RAM configuration of our Aero 15 test unit. GPU-Z reveals that the GPU in the Gigabyte runs at a slightly slower Boost clock rate than on the Razer (1185 MHz vs. 1290 MHz). 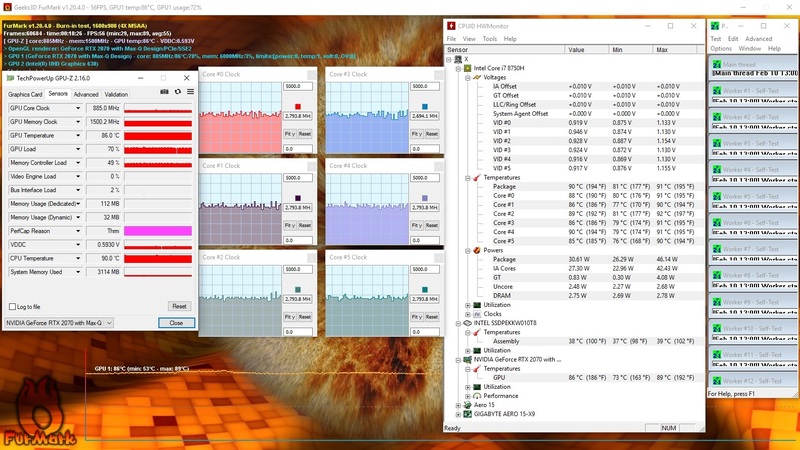 This could also potentially explain the slightly lower scores in the 3DMark benchmarks mentioned above. 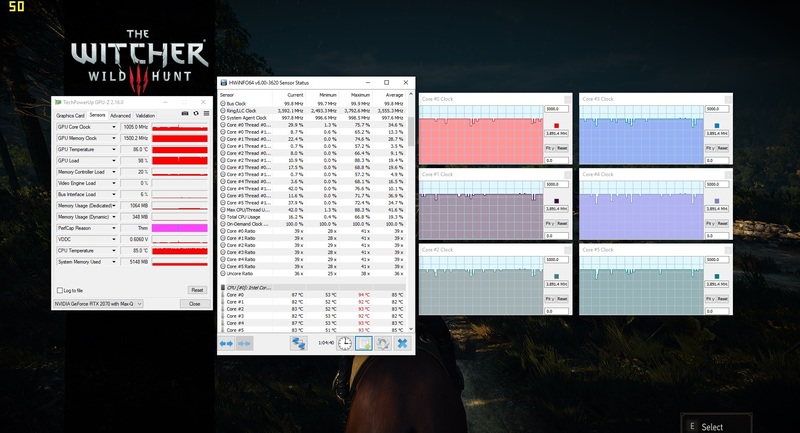 It's important to note that gaming performance is hindered by as much as 18 percent if running on single-channel RAM compared to dual-channel RAM. We explicitly mention this because a cheaper SKU of the Aero 15 is available with only 8 GB of upgradeable single-channel RAM whereas Razer offers no such configuration for its Blade 15 series. Unfortunately for the Aero 15, its CPU and GPU run warmer than on the Razer when under gaming load. We are able to record stable CPU and GPU temperatures of 84 C and 86 C on the Aero 15, respectively, compared to 80 C and 74 C on the Razer. 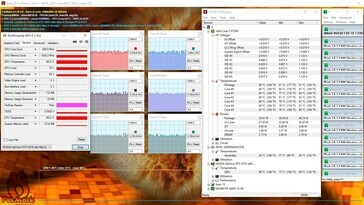 When gaming, fan noise is about the same between both systems at around 43 to 44 dB(A) each. Instead, it's when the systems are not gaming that differences in fan noise become more apparent. 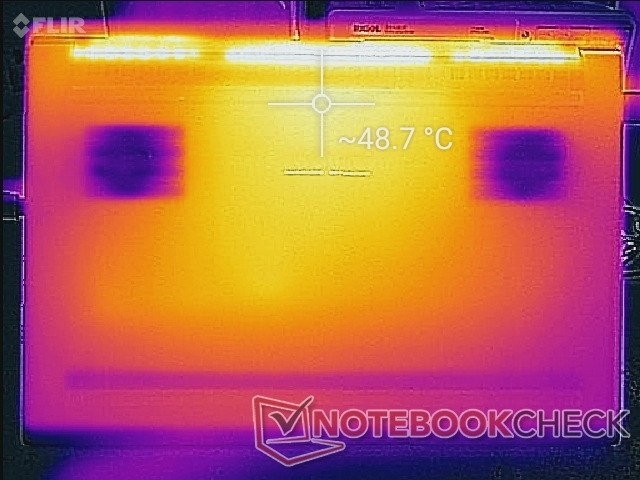 The fans on the Aero 15 tend to rev more frequently when under lighter loads like browsing or video streaming whereas the fans on the Blade 15 tend to remain idle for longer. 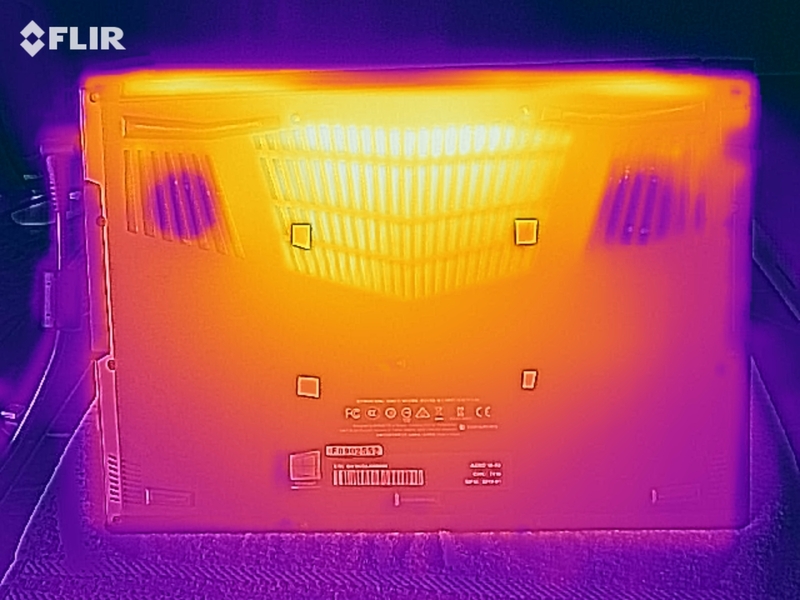 When running 3DMark 06, for example, we are able to record a fan noise of 42 dB(A) on the Gigabyte compared to just 36 dB(A) on the Razer. The Aero 15 is equipped with a larger capacity battery than the Blade 15 (94 Wh vs. 80 Wh). Even so, battery life is essentially identical between the two systems. 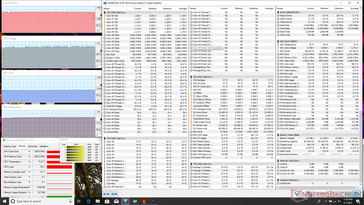 We are able to record a runtime of nearly 6.5 hours from each system when subjected to the same WLAN loads. Interestingly, the Blade 15 consumes measurably more power than the Aero 15 when gaming (155 W vs. 120 W). Port selection has never been a strong point on Razer laptops and the Blade 15 is no exception. Gigabyte has the edge here as it offers everything found on the Blade 15 plus gigabit RJ-45 and a full-size SD reader. It's a back-and-forth brawl with no absolute winner. As our table below summarizes, each model hosts advantages not found on the other and so the "superior" model will be dependent on the needs of the user. For the absolute best gaming performance with quieter fans, the thinner and sleeker Razer Blade 15 comes out on top. For upgradeable RAM, integrated NumPad, a firmer keyboard, and wider port options, the Aero 15 would be the better option. The advantages and disadvantages of the Aero 15 make sense once we look at the history of the series. 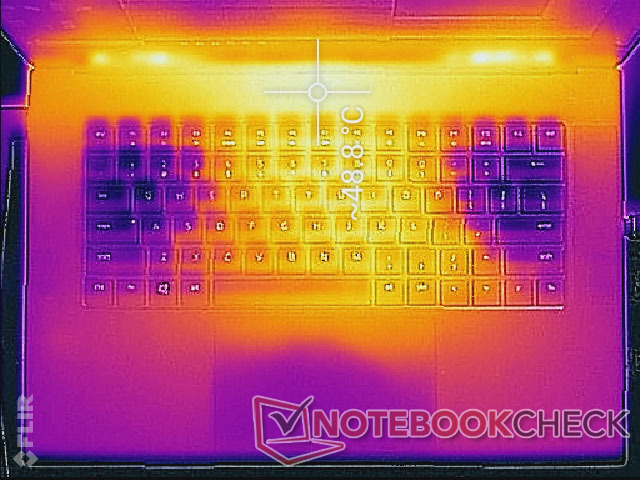 Gigabyte initially conceived the Aero 15 as a high-spec laptop targeted at professionals, so it's not a coincidence that it carries the superior keyboard and more accurate calibration than the gaming-centric Razer equivalent. The upcoming Aorus 15 will be Gigabyte's "proper" enthusiast gaming laptop that will hopefully give the Blade 15 a run for its money. We'll definitely revisit the comparison once we can get our hands on the redesigned Aorus laptop. Until then, we recommend checking out our reviews on the Gigabyte Aero 15-X9 and Razer Blade 15 for more detailed information on each system.